"I never got it in-game, so I thought I'm gonna make it and I'm going to have my own Lightbringer set at the house." Makes sense, when you're a gifted costume-maker. The cosplay at Blizzcon last week featured amazing outfits that looked like they suddenly teleported out of Blizzard's popular games and onto actual human bodies. That didn't happen, of course. Everything from Beth Hodgson's six-armed World of Warcraft Naga to the contest-winning Grand Empress Shek'zeer outfit made by Cosplay Py was created by very dedicated fans. 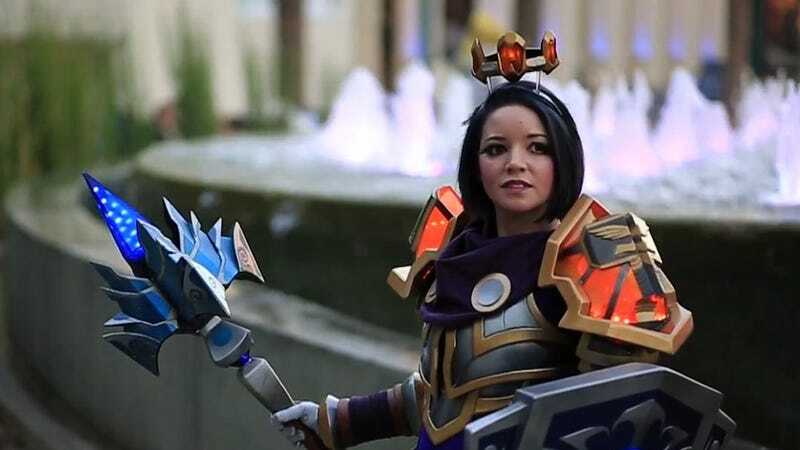 In the newest video by Cosplay Boom, the people behind the excellent costume play talk about why donning their gear for Blizzcon is different than any other convention.